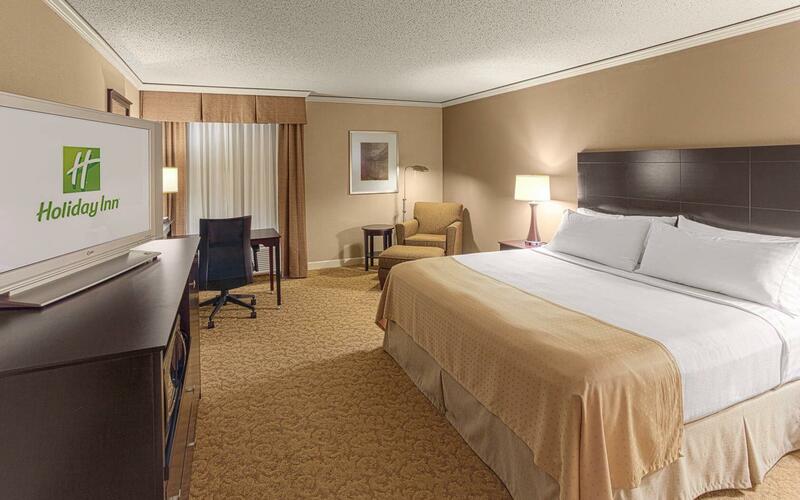 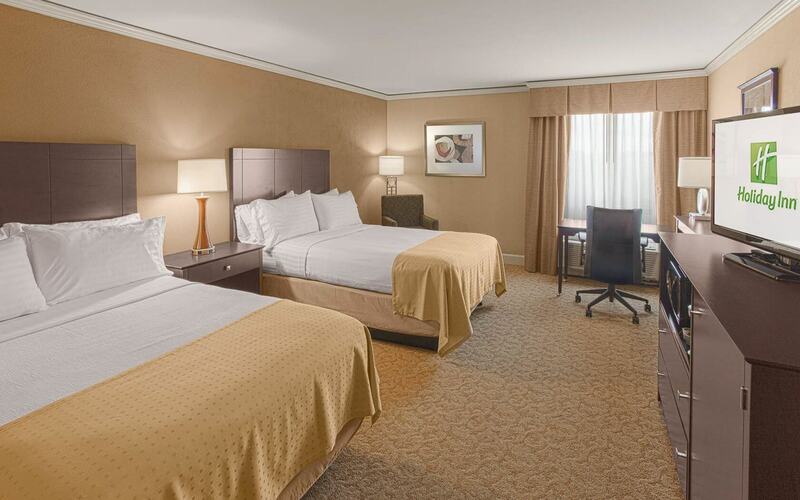 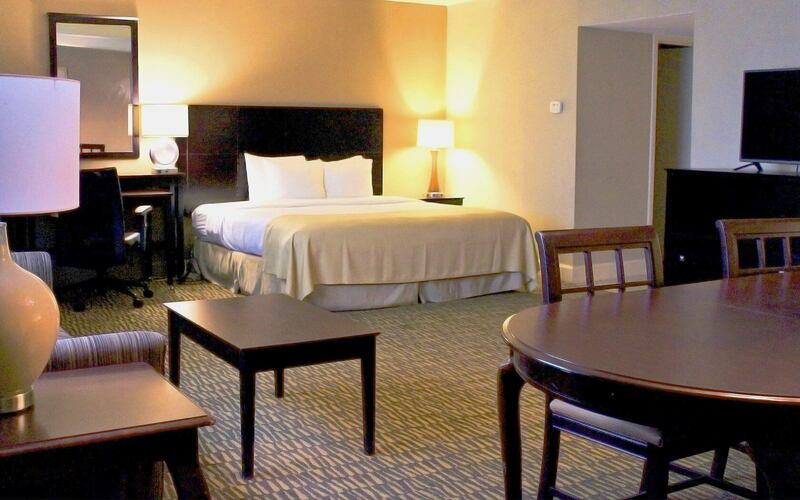 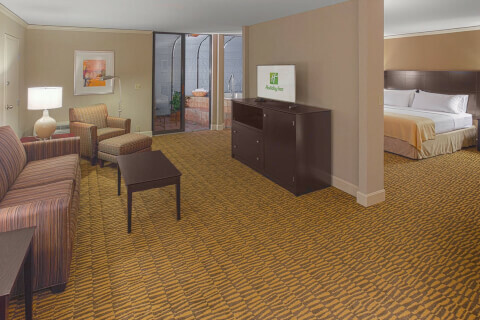 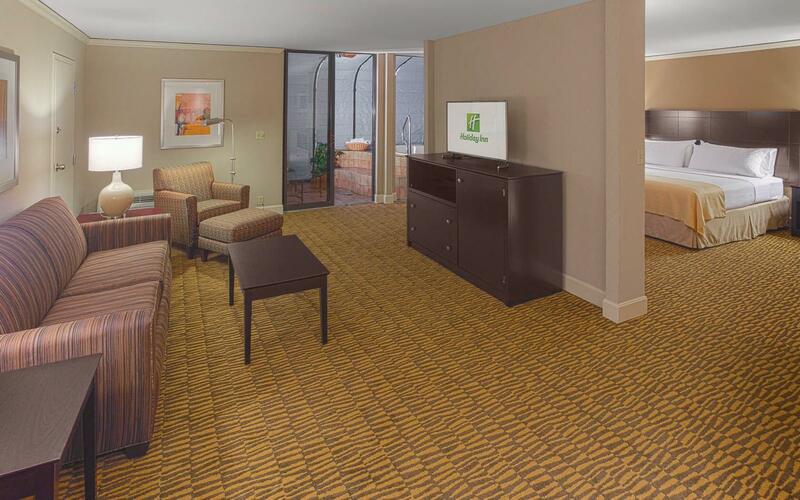 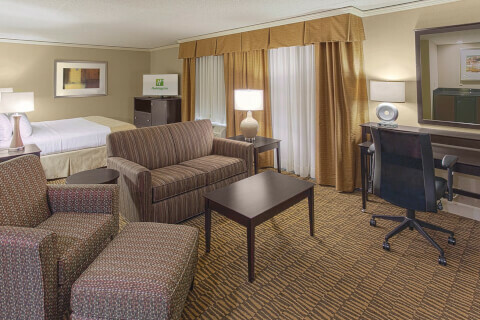 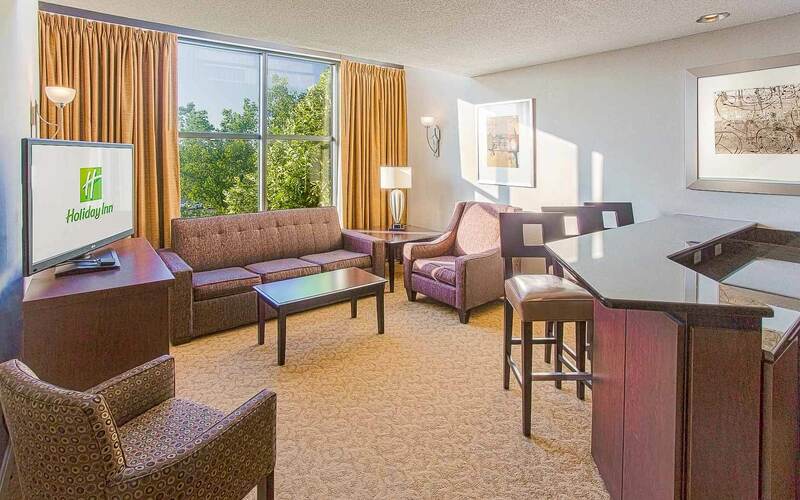 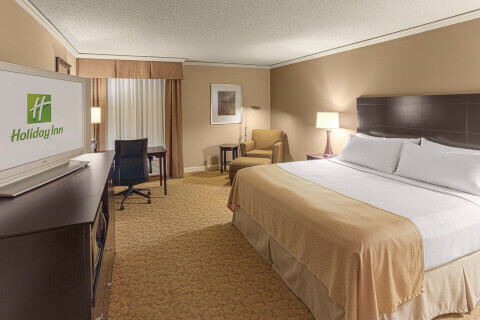 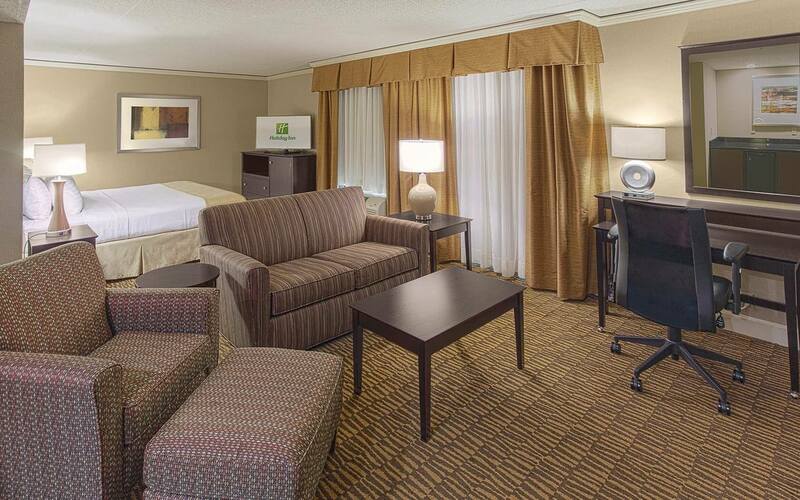 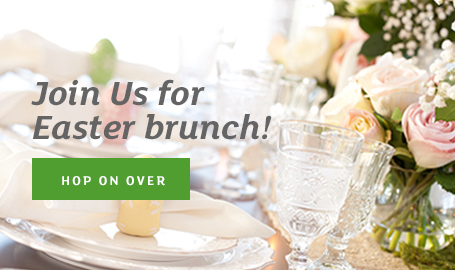 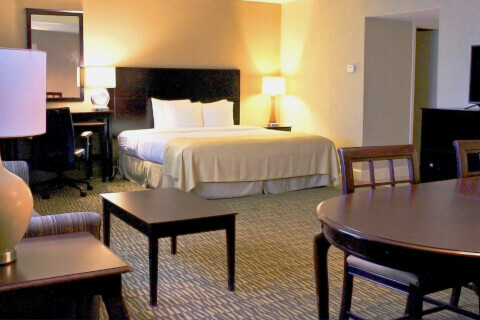 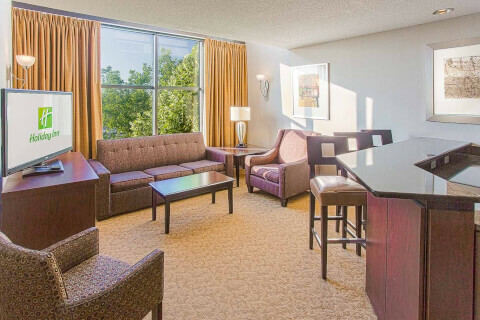 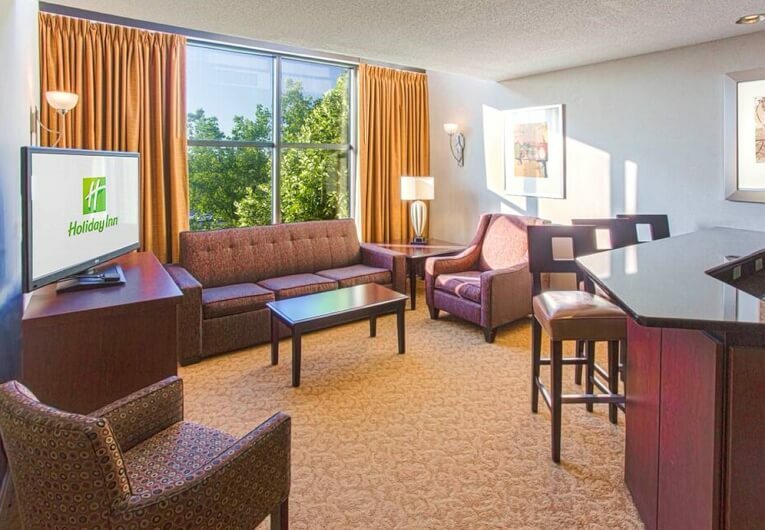 Holiday Inn Executive Center Columbia features 297 beautifully decorated guest rooms and 10 suites. 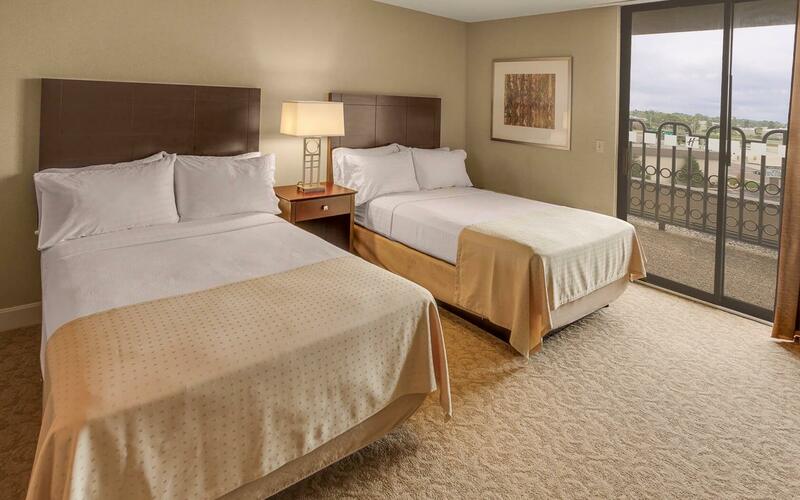 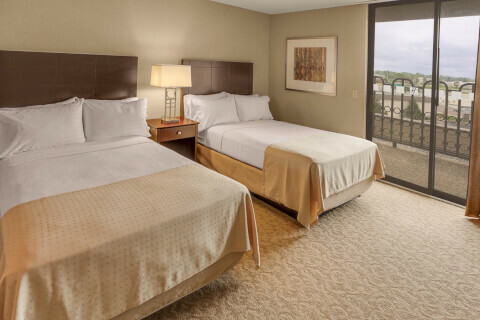 Spacious and stylish, our accommodations have deluxe bedding, complimentary WiFi and HD flat-panel televisions. 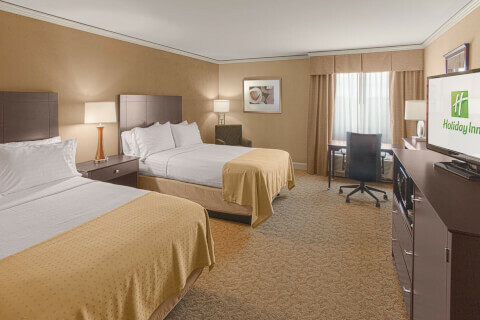 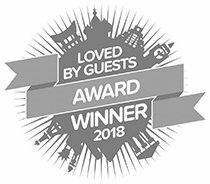 The hotel’s Executive Level accommodations on the Quiet Floor include access to the comfortable and spacious Executive Lounge, as well as daily breakfast for two, two drink vouchers, and upgraded amenities.